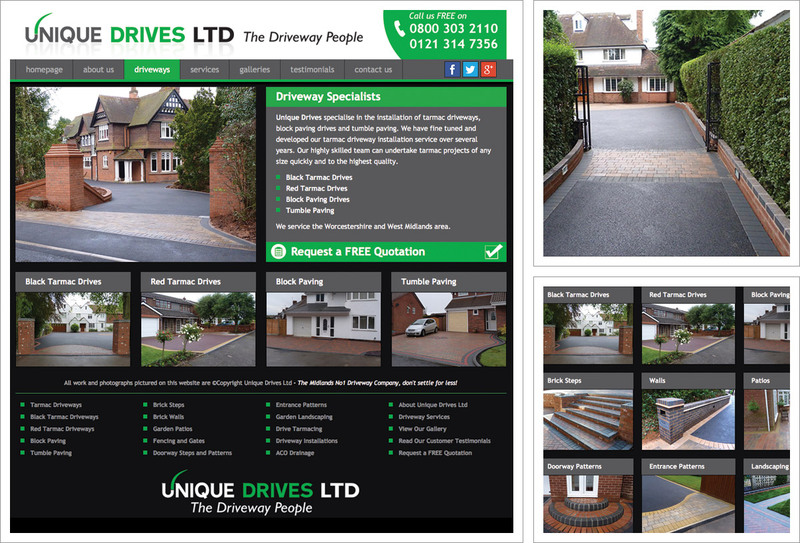 An extensive portfolio of high quality driveways, walls, patios, steps and landscaping projects completed by West Midlands based driveway specialists Unique Drives. Images are presented across multiple photo galleries, each displayed in a lightbox format. The homepage features some amazing before and after shots to show the transformations achieved by the Unique Drives team. These are further backed up by glowing customer testimonials. Clear contact details prominently displayed on each page, free quotations a secure online contact form and a map showing the areas covered.